Meet Miranda Martinez. 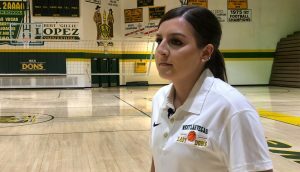 At just 25 years old, she’s one of the youngest head coaches in the state. Earlier this summer, Martinez was named the new head basketball coach at West Las Vegas High School. She was working at Enterprise Rent-A Car before landing the job at her alma mater. She graduated West Las Vegas High School in 2011 and played basketball at New Mexico Highlands while getting her masters. The first-year head coach is setting her goals high in year one. She wants to get her team to the state tournament at the Pit. So what kind of team can we expect to see? 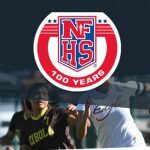 As a player Martinez led the Lady Dons to the state title game in 2010, now she’s hoping to do the same as a coach.